As the creator and one-time host of a radio travel feature called The Offbeat Destination of the Week, I had to visit the Notre-Dame-des-Neiges Cemetery during a visit to Montŕeal, Quebec. 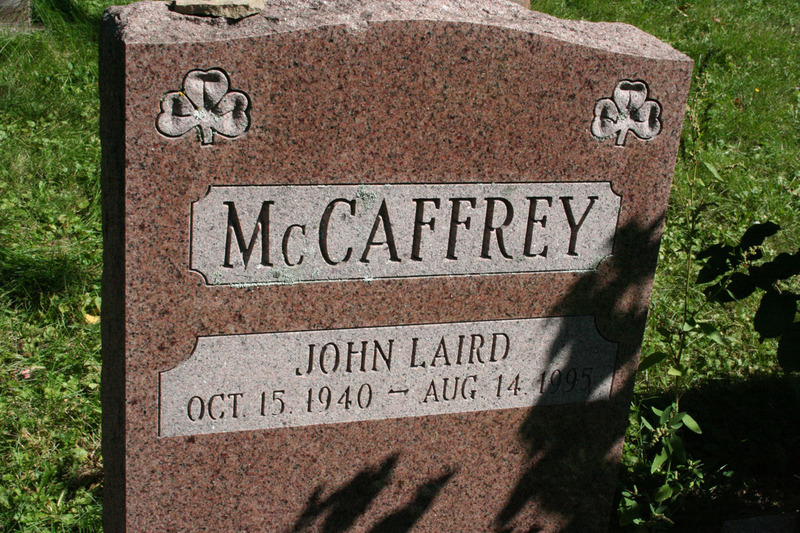 The Notre-Dame-des-Neiges Cemetery is the final resting place of John Laird McCaffrey who was born in Toronto in 1940 and died in 1995. Like Vincent van Gogh, McCaffrey is more famous in death than he was in life and, like van Gogh, he owes his notoriety to the women in his life. Unlike van Gogh, however, McCaffrey does not owe his notoriety to the adulation of his artistry. Vincent van Gogh passed away in 1890 at the age of 37 and his brother Theo in 1891 at the age of 33. Following their deaths, memorial exhibitions were mounted in a number of European cities, promoted by Theo’s wife who was also Vincent’s sister-in-law. She felt that the brothers, both painters, had labored in obscurity during their short lives and she wasn’t going to let that obscurity continue just because they were dead. 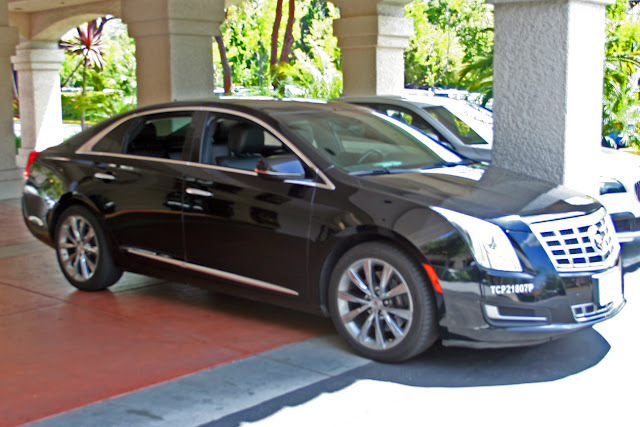 Contrarily, McCaffrey had hurtful rather than helpful feminine hands. His is the story of “Hell hath no fury like a woman scorned,” and he had not one, but two: his former wife and his mistress. As a story in the Montreal Mirror related events, once McCaffrey had passed away, the two women joined forces to write his epitaph, which they then took to the headstone engraver together. "This guy's ex-wife and mistress came in together and ordered the stone,” the engraver told the newspaper. “They said the message represented him. It was a thing between the three of them." 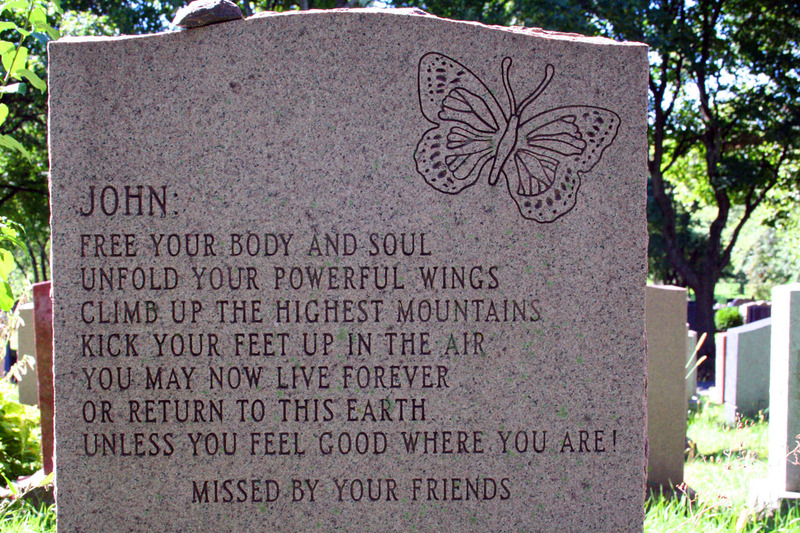 The result is the acrostic on the back side of the headstone above. Look vertically at the first letter of each line to see the message. Another, more benign account says that McCaffrey was a long time practical joker and that his epitaph is a result of that facet of his personality. Regardless, it is my judgement that the headstone qualifies Notre-Dame-des-Neiges Cemetery, Section C, plot 01369 as The Offbeat Destination of the Week.